Matching splashbacks are ideal for blending laminate worktops with adjacent walls. This Luna Nero laminate kitchen splashback is made using high-quality textured laminate — the same material use to create our grey slate laminate worktops. The laminate is wrapped around a 3000mm x 600mm x 6mm MDF sheet to create a hard-wearing panel. 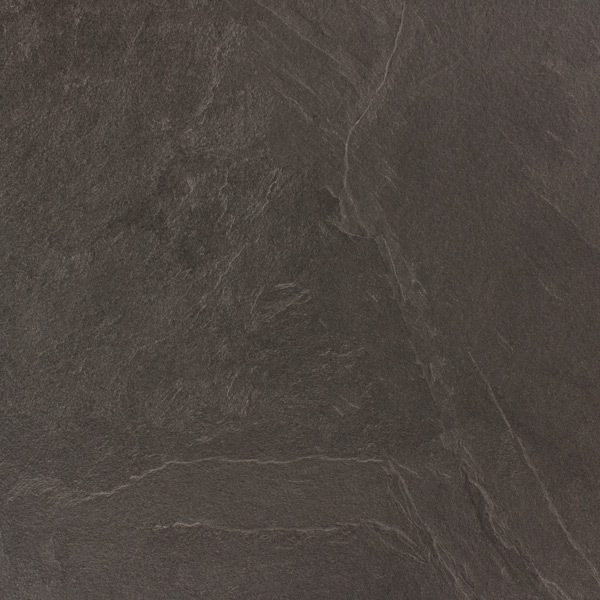 These grey slate kitchen wall panels extend the laminate design beyond your work surface, and are a great alternative to tiles and other wall coverings. They are designed to fit between the worktop and your kitchen wall cabinets, and help to protect the wall from any splashes or stains. Our grey slate laminate backsplash is water-resistant and easy to cut-to-size.